In America, we have the 2nd Amendment to the Bill of Rights of our Constitution, which guarantees that American citizens have a right to own firearms that cannot be infringed upon by the government. It is clear by the wording of the Amendment, specifically the “shall not be infringed” part, that the Founding Fathers understood the concept of negative liberty versus positive liberty and believed that private gun ownership fell into the former category as a Natural Right, and this has a major implication for the 2nd Amendment. 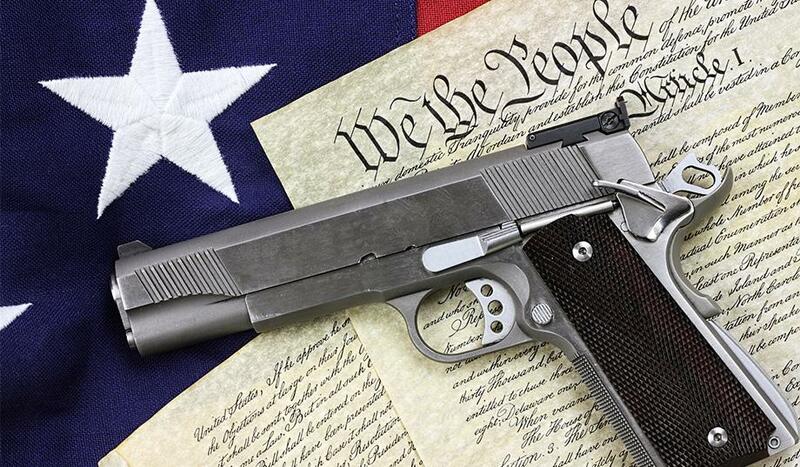 In this short piece, we are going to discuss the three main points referenced above: learn the definitions of both negative and positive liberty, discover which of the two truly contains Natural Rights, and what this means for the 2nd Amendment. The Stanford Encyclopedia of Philosophy defines negative and positive liberty as “the absence of obstacles, barriers, or constraints” and “the possibility of acting – or the fact of acting – in such a way as to take control of one’s life and realize one’s fundamental purposes”, respectively.1 In other words, negative liberties (or freedoms, or rights, terms that are often used interchangeably in these discussions) require no action from and makes no imposition on other people. Quite the contrary, these liberties require inaction by others, or a requirement to leave you alone so long as you are not harming them. Positive liberties however require action from others to be fulfilled- with intervention by the State. A positive liberty imposes upon others and forbids inaction for the sake of the person claiming the liberty. One could easily fill an entire essay on the debate between negative liberty and positive liberty, so for brevity’s sake I will say only that it is clear to any classical liberal that nothing within the umbrella term of positive liberty could ever be considered a Natural Right. This is so because, as previously mentioned, the very definition of positive liberty is something that requires the action of another. Claiming to have a Natural Right to the action of another is tantamount to claiming a Natural Right to their person, which is nothing short of slavery. Enslaving another is wholly contradictory to a Natural Right. Therefore, due to this contradiction, negative liberties are the only ones that are truly Natural Rights. In Kant’s writings on the ultimate law or principle, called the Categorical Imperative, he reveals his understanding of Natural Rights as negative liberties, albeit less explicitly than Hobbes did. According to Kant’s Formula of Humanity version of the Categorical Imperative, we as rational beings have an ultimate responsibility to “act in such a way as to treat humanity…always as an end and never merely as a means”.3 Here, Kant declares unethical any action that treats other humans as means to an end, which is the cornerstone of many positive liberty arguments preached by today’s regressive left like free education, free healthcare, free everything. In the case of these supposed rights, you are taking something from others against their will by way of taxation, and treating them and their property as means to an end, which in this case is communal welfare. Now what does this mean for the 2nd Amendment? First, we must ask if possessing a firearm is a negative liberty or a positive one. This requires no extensive examination, for mere possession of any object, in this case a firearm, requires only that others do not stop you from possessing said object. It does not impose on anyone else in the form of State intervention, i.e. taxation. Clearly then private gun ownership is a negative liberty. As stated in my introduction, the Founding Fathers understood this concept and applied it beautifully in the 2nd Amendment’s wording. Now that we know that private gun ownership is a negative liberty, we at last arrive at the major implication of this in regards to the 2nd Amendment: the 2nd Amendment is not giving us the right to keep and bear arms. Rather, it is affirming that such a right exists and forbidding the State from violating it. And this is where the anti-2nd Amendment crowd goes very, very wrong. Repealing the 2nd Amendment, or watering it down to the point of near non-existence, does not right the wrong of some dated, State-sanctioned privilege dreamt up by stuffy white men. It is suppressing a Natural Right owed to all individuals, something about which the regressive left supposedly cares. This is why arguing the semantics of the 2nd Amendment is almost like missing the point entirely because that is not from where we receive the right to keep and bear arms. As well should we debate the semantics of the 1st Amendment in regards to free speech. Owning the means with which to secure one’s self and one’s property, like a firearm, is a negative liberty, a Natural Right owned by every rational being by mere virtue of being a rational being; no law can curtail that right and be called ethical any more than could a law that would ban private journalism. Private gun ownership isn’t a Republican issue or a “privileged white men” issue, it’s a human rights issue. Hobbes, Thomas. Leviathan. 1651 . Barnes and Noble Inc., 2004. Kant, Immanuel. Grounding for the Metaphysic of Morals. 1785. Translated by James W. Ellington, Hackett Classics.